The /proc/sys directory in the /proc virtual filesytem contains a lot of useful and interesting files and directories. Many kernel settings can be manipulated by writing to files in the proc filesystem. A lot of important information can be retrieved from these files. This is especially useful when you are troubleshooting or fine tuning your linux system. Following is a description of the most important files. Especially the files in /proc/sys/vm are very interesting and useful. You can also use the sysctl command to make this changes persistent, or to see all the possible kernel options you can change at run-time. Contains device specific information. For instance the directory cdrom /proc/sys/dev/cdrom/info shows you cdrom capabilities. The other files in /proc/sys/dev/cdrom are writable and allow you to actually set options for your cdrom drive. For instance echo 1 > /proc/sys/dev/cdrom/autoeject makes your tray open automagically when you unmount your cdrom. /proc/sys/dev/parport holds information about parallel ports. Browse these directories to learn more about their contents. binfmt_misc allows you to configure the system to execute miscellaneous binary formats. For instance it enables you to make the system execute .exe files using wine and java files using the java interpreter, just by typing a file name. 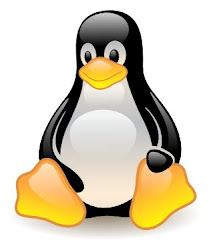 Linux caches directory access to speed up sub-sequential access to the same directory, this file contains information about the status of the directory cache. enable/disable dnotify interface, dnotify is a signal used to notify a process about file/directory changes. This is mainly interesting to programmers. maximum number of cached disk quota entries. system-wide limit on the number of open files for all processes. number of files the system has presently opened. This file contains seven numbers: number of inodes, number of free inodes, preshrink, and four dummy values. nr_inodes is the number of inodes the system has allocated. Preshrink is non-zero when the nr_inodes is bigger than inode-max. This directory contains files that can be used to limit the amount of kernel memory consumed by the inotify interface. This file specifies the grace period that the kernel grants to a process holding a file lease after it has sent a signal to that process notifying it that another process is waiting to open the file. This file can be used to enable or disable file leases on a system-wide basis. This directory contains files controlling the resources used by POSIX message queues. Allows you to change the value of the fixed GID, if a filesystem is mounted which only supports 16 bit GID's the Linux GID's which are 32 bit sometimes need to be converted to lower values this is fixed at this value. Allows you to change the value of the fixed UID, if a filesystem is mounted which only supports 16 bit UID's the Linux UID's which are 32 bit sometimes need to be converted to lower values this is fixed at this value. Determines whether core dump files are produced for set-user-ID or otherwise protected/tainted binaries. 0 (default) A core dump will not be produced for a process which has changed credentials or whose binary does not have read permission enabled. 1 (debug) All processes dump core when possible. 2 (suidsafe) Any binary which normally would not be dumped is dumped readable by root only. This allows the user to remove the core dump file but not to read it. For security reasons core dumps in this mode will not overwrite one another or other files. This mode is appropriate when administrators are attempting to debug problems in a normal environment. Controls the maximum number of superblocks, and thus the maximum number of mounted file systems the kernel can have. The number of file systems currently mounted. highwater, lowwater, and frequency. Used with BSD-style process accounting. Holds the value of the kernel capability bounding set. Controls the handling of Ctrl-Alt-Del from the keyboard. If it's 0, Linux will do a graceful restart. When the value is > 0, Linux’s will do an immediate reboot, without even syncing its dirty buffers. Contains the path for the kernel module loader. Defines a system-wide parameter used to initialize the msg_qbytes setting for subsequently created message queues. Gives read/write access to the kernel variable panic_timeout. If this is zero, the kernel will loop on a panic; if non-zero it indicates that the kernel should autoreboot after this number of seconds. This file controls the kernel’s behavior when an oops or BUG is encountered. If this file contains 0, then the system tries to continue operation. If it contains 1, then the system delays a few seconds and then panics. If the /proc/sys/kernel/panic file is also non-zero then the machine will be rebooted. This file specifies the value at which PIDs wrap around (i.e., the value in this file is one greater than the maximum PID). The four values in this file are console_loglevel, default_message_loglevel, minimum_console_level, and default_console_loglevel. This allows configuration of which messages will be logged to the console. (ever worked on a console printing messages all the time to your screen? Here's how to fix that) Messages with a higher priority than console_loglevel will be printed to the console. This directory contains two files relating to the number of Unix 98 pseudo-terminals on the system. Defines the maximum number of pseudo-terminals. This read-only file indicates how many pseudo-terminals are currently in use. This directory contains various parameters controlling the operation of the file /dev/random. Can be used to tune the maximum number of POSIX real-time (queued) signals that can be outstanding in the system. This file shows the number POSIX real-time signals currently queued. Contains 4 numbers defining limits for System V IPC semaphores. Shows the size of the generic SCSI device (sg) buffer. Contains the system-wide limit on the total number of pages of System V shared memory. This file can be used to query and set the run-time limit on the maximum (System V IPC) shared memory segment size that can be created. Specifies the system-wide maximum number of System V shared memory segments that can be created. This directory supports Sun remote procedure call for network file system (NFS). This directory contains files for memory management tuning, buffer and cache management. One of the more interresting directories in proc sys as it allows manipulating memory handling in real time. To free pagecache, write 1 to this file. To free dentries and inodes, write 2 to this file. To free pagecache, dentries and inodes, write 3 to this file. Just try echo 1 > /proc/sys/vm/drop_caches, and watch your memory usage drop by all kernel cache memory. If non-zero, this disables the new 32-bit memory-mapping layout; the kernel will use the legacy (2.4) layout for all processes. Enables a system-wide task dump (excluding kernel threads) to be produced when the kernel performs an OOM-killing. The dump includes the following information for each task (thread, process): thread ID, real user ID, thread group ID (process ID), virtual memory size, resident set size, the CPU that the task is scheduled on, oom_adj score (see the description of /proc[number]/oom_adj), and command name. This is helpful to determine why the OOM-killer was invoked and to identify the rogue task that caused it. This enables or disables killing the OOM-triggering task in out-of-memory situations. If this is set to zero, the OOM-killer will scan through the entire tasklist and select a task based on heuristics to kill. This normally selects a rogue memory-hogging task that frees up a large amount of memory when killed. If this is set to non-zero, the OOM-killer simply kills the task that triggered the out-of-memory condition. This avoids a possibly expensive tasklist scan. If /proc/sys/vm/panic_on_oom is non-zero, it takes precedence over whatever value is used in /proc/sys/vm/oom_kill_allocating_task. policies mbind or cpusets and those nodes reach memory exhaustion status.